I have new addiction: wire-wrapping rocks! Oh my, oh my! I have just discovered the love and fun of wrapping rocks, especially geodes, in wire! You can be as random or as skilled as you like. I personally like wrapping my specimens in random ways following the curves and textures of the rocks themselves. I love cracking open the geodes to find the undiscovered beauty within and wearing the insides on the outside as jewelry! Stop by the Holiday Craft Faire this Saturday, December 10th and support local artisans by purchasing gifts direct from the source! There will be a FREE kids' craft corner along with FREE coffee and tons of cool stuff from homemade baked goods to jewelry to letterpress items to artwork and much, much more! I will be selling my botanic art cards, botanic art prints of a few of my selected colored pencil drawings, my Botanimals Coloring Book and my Botanimal Poem Coloring Cards! I am participating in my Botanic Illustration student show and will be in the company of other amazing artists who will be displaying their works of art. There will be watercolor and colored pencil pieces. 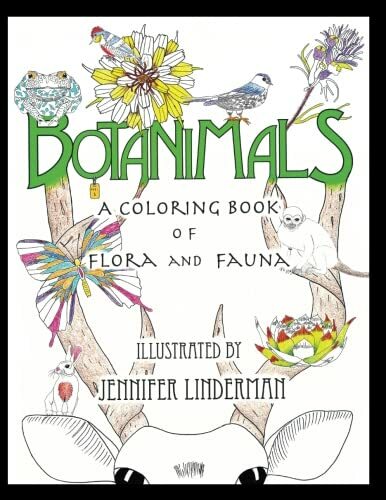 Join us for an evening of great art, food and drinks and purchase a signed copy of my new coloring book, Botanimals: A Coloring Book of Flora and Fauna which is now available on Amazon! This is print of my Sunflower Seedhead drawing I did in colored pencil. This print is available in my shop along with many of my other botanic artwork prints!